The “Recommended Reading” lists seem to be an integral part of what Kobo is trying to do to court both readers and publishers. But I found their methods rather disappointing and their results even more so. The lists update sporadically, but usually between once to three times a week. When they do, the most common method of updating is to toss a few titles into the top few slots and push all the rest down accordingly. I suppose the good thing about this (as an author/publisher) is that once you make one of these lists you will remain on the list for a while. The main differentiation between these lists and the bestseller lists is that the recommending reading lists are curated by Kobo staff, and apparently have nothing (or very little) to do with statistics. Upon inquiring about the “Short Reads” list I was told as much. I like curation, theoretically. The bummer is that the titles chosen seem random and based on reasons other than either quality of product or quantity of sales. As a reader, I don’t trust the lists due to their misleading nature. A book at the number one spot of “Great Reads under $4.99” should, in my mind, be the best or top-selling inexpensive title in the kobo store. Occasionally these lists reshuffle, moving all the books around to different spots on the list while barely changing the actual content of the list. To me this felt like a slight of hand to try to get customers who have recently viewed the list to see new books they might have missed before by convincing them it was a new list. And again, it seemed irrational, or at least non-statistical. After a few comments and recommendations from me I did notice one of my titles suddenly pop onto the bottom of the “Reads from Kobo Writing Life” list. Apparently it didn’t merit being added at the top via common practice. I had noted by checking the rankings of the indie products at the top of the list that being so ranked didn’t really seem to help sales anyway. I didn’t gain any additional sales from my week-long stay on the bottom of the list. Then the list changed to an actual “bestseller” list and I was dropped. 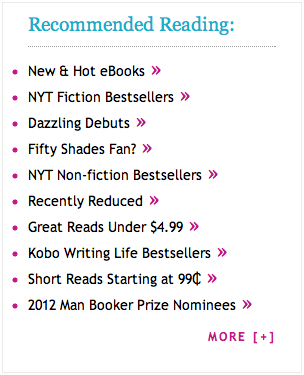 Currently the “Kobo Writing Life Bestsellers” list includes any products uploaded via the Writing Life platform. 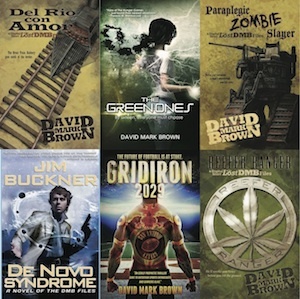 Most of the titles are smaller to mid-size, indie presses and not individuals. Hugh Howey’s Wool Omnibus is at the number one currently, with a Terry Goodkind book in third. Overall, the concept of curated lists could serve Kobo well. One thing I have begged for in the past is a sort of online eBook version of the local neighborhood bookstore that thrives via curation rather than box-store tactics. But these curated lists don’t seem to make sense or hold authority. They almost feel like “staff picks” but without the transparency as such. As a small fry it feels unfair. At least Amazon treats a number as a number. If I push up sales my title can rank next to the biggest name author. On Kobo it feels like the curated lists are overflowing with big name and big press titles simply because a staffer has easier access to them and knows it will take less effort to convince a reader to buy them (thus making Kobo money). It’s possible that if I pushed my sales up I would flag the attention of a staffer who would then put my book on a list. But honestly, in this case an Amazon killbot seems more reliable than a human who might have gotten up on the wrong side of the bed or taken offense at my wee-beady eyes. The bottom line is that Kobo is not pushing enough sales to rely completely on sales-based rankings. So they have wisely moved toward curated lists. But these curated lists are not working. Making the top ten on these lists does very little (from what I can tell) to generate actual sales. At first this shocked me. I assumed most Kobo shoppers would be pouring over these immensely accessible lists for their next read. But after following how the lists were curated/updated it didn’t surprise me that readers do not trust the lists. They might be using the lists as a place to start, but are sticking to the big name titles or books they already recognize. Some of the titles being added to the top of these curated lists smack of favoritism or deals worked out between Kobo and publishing houses. You are right on with how they should be differentiating themselves. As Seth Godin has talked about, the only way to compete (or even exist for long for that matter) is to get into the niches and play a different game with a different kind of reader. This goes for online and brick and mortar stores both. Indee. Amazon shocked B&N by welcoming the indie. Kobo will need to do more than follow in amazons shadow. Interesting comments. I wonder if publishers are paying to get on the recommended list. 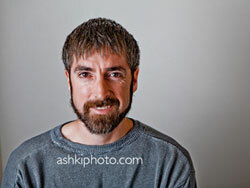 They pay for prime shots in physical bookstores, seems online ones would do the same. I wondered the same thing, James. A couple presses showed up more than I thought was normal considering their size.